Personal service guaranteed if you move interstate with careful movers. 4.6 rating from over 250 reviews. Read Careful Movers Interstate Removals Reviews on product review and Google and check the homepage to see how we manage everything like a project for you so you don’t have to worry about anything else. Free Insurance for Loading and Unloading. Full Insurance cover if you move Interstate with Careful Movers. The combination of his experience in the industry and our attention to detail we can offer you the safest experience.When moving interstate the most expensive part can be insurance we offer it for free full insurance covers any breakages loading and unloading the truck. We guarantee the same Removalists wrap and unwrap all off your belongings. This is the Truck you can have if you are moving interstate BIG 50 cubic meter truck set up for interstate Removals between Melbourne Sydney and Brisbane. Quality Furniture removal starts with the Right truck.We have this truck designated and assigned to interstate removals.Its high top means you can fit a 3-4 bedroom house in it and has all the pads,trollys and ropes as you can see in the picture. When Moving Interstate its best to get a fixed quote. If you have a job that is over the size off a two bedroom unit its best to get a fixed Quote and ring and talk to one off our team about exactly what you have.We can give you a time frame on how long it will take to load and unload the driving time between your old and new destinations and just give practical advice and things that even you might not be thinking about. We Work for you the CUSTOMER and will work hard to give you good value for money.All Trucks fully equipped with pads and blankets to protect your belongings.Check Video at 1 min 10 seconds to see how staff are trained to tie and wrap your furniture the way it should be and at 2 minute and 16 seconds the finished product your furniture moved to your new house with out a scratch or a mark on it. Genuine Cheap Sydney Removalists the way it should be done. Move with us and you get Real Furniture Removalists,Check Video on our home page to see how even the most delicate furniture is carried with tender loving care and covered with blankets to protect. Book your own truck or back load its up to you.Moving interstate you have 2 options. Option 1: Book your own truck and get a fixed price.Book a small,meidium or large Truck and get a fixed rate quote. Pros are you get a Guaranteed start time on the day you want to move. Option 2: Backload and save 30%.We can get you on any number off trucks in our network off trucks in Queensland,New South Wales or Victoria. Be Treated like a Client not just a number. Ask any one who has moved interstate a few time what sort off service you get and they could probably tell you a few stories. You might get a cheap price for a backload Sydney to Brisbane ect… But what you get is a different thing. We had on customer ring for a late notice removalist Sydney to Melbourne and had booked one off the Major Sydney to Melbourne backload company’s only to be told on moving day that the truck he had booked had hit a kangaroo and sorry could not make it. The worst thing is the Guy had paid a deposit two weeks before moving and had the whole amount off the move taken out off his account the night before his move and had to ring the call center on moving day to find out what was going on and fight to get his money back. Things like this happen every day in the Interstate Furniture Removal Business. For this Customer we ended up doing the his job on 2 hours notice delivering in melboune the next day and only took payment when the job was completed. Get Your own Truck so things get done Right and only pay when the job is Completed. Most off the Time we can get your own personal truck and 2 men crew so things get done right and the Truck just drives strait from your house to your destination. No Waiting. 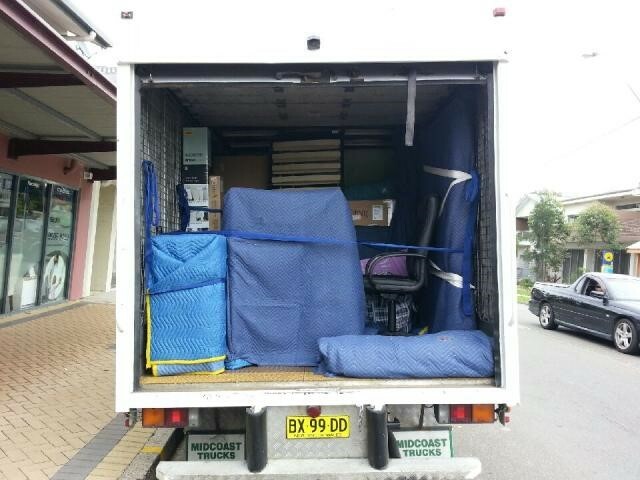 We can do great price if you are moving from Brisbane to Sydney or Brisbane to anywhere! Moving over the Christmas period? We have trucks on the road every day in the December / January period. Whether you are going North, South or West we offer a real alternative to backloading if you just want a truck to do your job when you want it done at a reasonable price. If your are moving interstate we can arrange Boxes for you.Other helpful ways you can get boxes are Google “Enmore Box Factory’ They sell quite a different range off Second hand boxes There no not ideal for Interstate Removals but if you are looking to save money its A good place to Know.Other options are you can buy from Bunnings they sell them off the floor or on eBay is a other Cheap way off doing it. Give yourself as much time as possible for planning. It will be less stressful and just makes it easier on yourself. Make a checklist. Being organised will relieve some of the stress and you are less likely to forget something. Pack as much as you can as early as possible, especially non-essential items. If you are driving get your car serviced a week or two before you move just in case you run out of time. Get your tyres checked at a tyre shop a week before you do the big drive. Most tyre places will check the pressure of your tyres for free. If you do it yourself you could over or under inflate them. One flat tyre can set you back a day! We love Customer feed back every one off these reviews are genuine.Click on the product reveiw icon and see what our customers say. More people than ever are moving interstate with Queensland number one on movers’ desired destination. Nearly a third (31%) of Australian households would consider hiring a Furniture Removal Company to move to another state for financial benefit with Queensland the preferred destination, according to the latest ING Direct Financial Wellbeing Index. Across households that would consider relocating interstate, Queensland (46%) is the most popular destination ahead of both NSW and Victoria (40%). The Report found that Queensland had everything going for it with a jobs boom and low property prices. It’s no wonder the average Sydneysider would be thinking about selling up and heading North. One of our customers who moved from Northern Beaches commented on how life was more affordable on the Gold Coast as compared to Sydney. Put simply we can just get a bigger house for less money and even if we decide to rent there is an over supply of rental accommodation. Interstate, along with overseas migration, is a key driver of demand for housing.